TierFive Imaging provides document scanning, microfilm conversion, and imaging services to the entire United States. If you happen to operate within our Local Service area you can have additional benefits such as local pick-up/drop-off and next-day service options. Clients within our Enhanced Service Area enjoy shipping and service discounts as well as two-day service options. 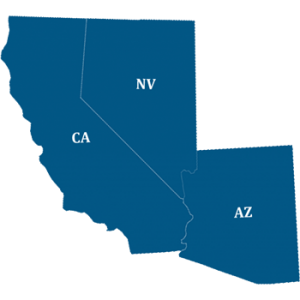 Beyond Southern California, TierFive Imaging provides “enhanced” document scanning, microfilm conversion, and imaging services to the Southwest United States to all of California, Nevada, Arizona, New Mexico, and Texas. This includes, but is not limited to the following locales. Other areas may still be in our enhanced service area. If you would like to verify if we can service your location feel free to contact us or can give us a call at (800) 215-1743 x 93. Outside of our enhanced service area, we offer regular remote and mail services to the rest of the continental United States. 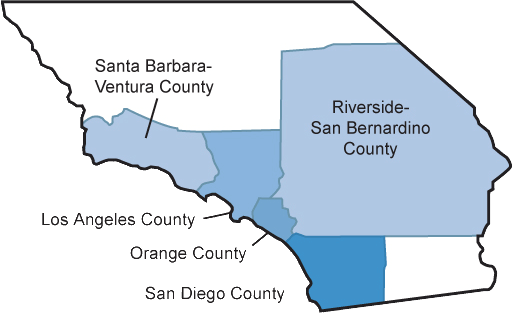 TierFive Imaging provides local document scanning services to Los Angeles County, Orange County, San Diego County, Santa Barabra-Ventura County, and Riverside-San Bernadino County. Our local service area includes, but is not limited to, the following cities. Other areas not listed may still be in our local service area. If you would like to verify if we can service your location feel free to contact us or you can give us a call at (800) 215-1743 x 93.